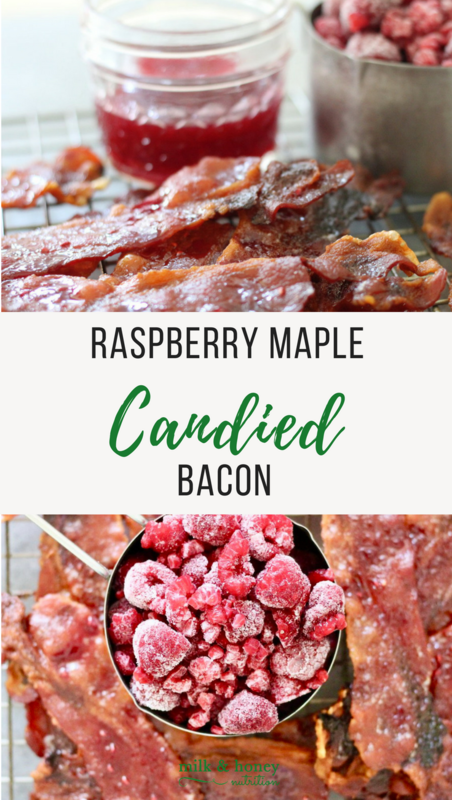 This recipe for Raspberry Maple Candied Bacon was sponsored by the National Processed Raspberry Association. All thoughts and ideas are my own. Bacon. Pretty much everyone starts to salivate and dream of breakfast time as soon as they hear the word. Or maybe it’s a BLT sandwich, or a loaded baked potato. I think we can all agree bacon can go on pretty much everything. It’s also the perfect savory partner for the sweet-tart flavor profile of frozen raspberries! Check out these other great breakfast ideas!